In this latest tutorial, I teach you 7 ways to achieve plump lips just like Kylie Jenner's! It includes everyday care, makeup tips and tricks + a bonus DIY lip plumper recipe! I don't know about you but eversince I found out that Kylie Jenner's lips weren't surgically enhanced, I immediately became obsessed and started researching different ways to make my lips plumper. So now I am sharing what I learned with you guys. Of all the methods I've tried, here are the TOP 7 that work best and can be easily done at home. Before brushing your teeth, exfoliate lips first using your toothbrush. Apply your facial moisturizer to your lips during your daily beauty regimen. Apply a generous amount of lip balm before going to bed. Oh my! I wish Kylie Jenner would see this! ha ha ha.. 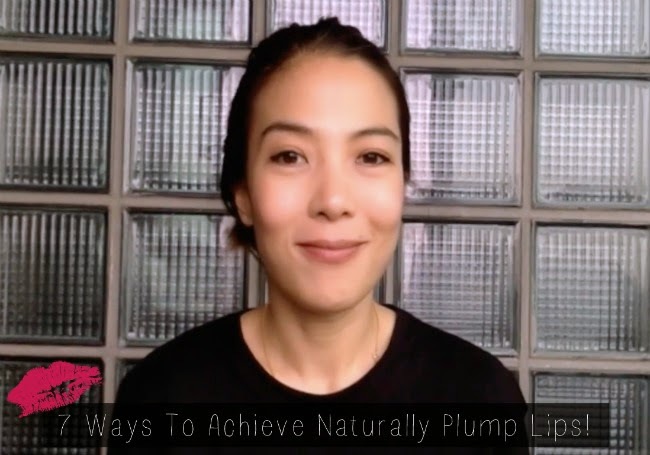 Seriously, though, I have been looking online on how to achieve naturally plump lips! This is a life saver! :) I shall tag you soon for the results. Wow, I would love to have naturally plump lips but I don't think I can do all those steps everyday. Hahaha! I do put lip balm several times a day though. Haha! After you applied and removed the lip plumper I had to rewind to see the if there was a difference.. and it was very noticeable! Awesome tips!